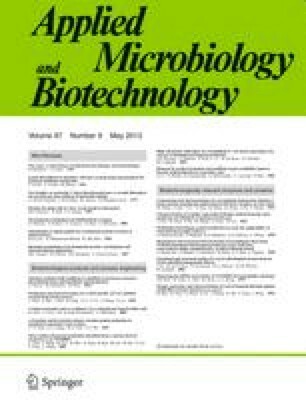 The epidemiology of four erythromycin-resistant methylase (erm) genes, ermA, ermB, ermC and msrA, was determined in erythromycin-resistant staphylococci, enterococci and streptococci isolated from poultry litter. All isolates were resistant to multiple antibiotics. Southern hybridization indicated that 4 of the 20 staphylococci contained the ermC gene on plasmids: on a 2.2 kb plasmid in Staphylococcus hominis and S. sciuri, on a 6.0 kb plasmid in S. xylosus, and on a 7.0 kb plasmid in S. lentus. In 16 of the 20 staphylococci, the ermA gene was harbored exclusively on the chromosome, as a double chromosomal insert on 8.0 and 6.2 kb EcoRI fragments. None of the staphylococci harbored the msrA gene. Dot-blot analysis indicated that all enterococci and streptococci hybridized with a biotinylated ermB gene probe. Southern hybridization indicated that only 2 of the 19 erythromycin-resistant enterococci contained the ermB gene on plasmids. The gene was localized on 4.0 kb and 5.9 kb plasmids, respectively, in two Enterococcus faecium isolates. Results from our studies indicate that the patterns of occurrence of erm genes, the sizes of the plasmids and the copy numbers of the inserts were different from the existing information on the presence of erm genes in clinical strains of Staphylococcus spp.